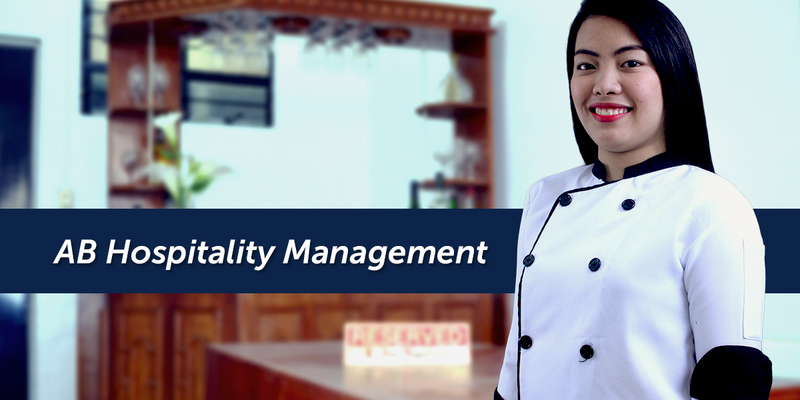 The Bachelor of Science in Hospitality Management is a four-year degree program that will equip students with competencies that are needed to execute operational tasks and management function in food production (culinary), accommodation, food and beverage service, tourism planning, product development, events planning, transportation services, travel and tour operations and other emerging sectors of the hospitality and tourism industry. The program includes substantive work experience through internship or on the job training with our industry partners, 240 hours in a restaurant and 420 hours in a hotel. Graduates of Bachelor of Science in Hospitality Management should be able to but not limited to: produce food products and service complying with enterprise standards, apply management skills in food &amp; beverage service and operations, perform and provide full guest cycle services for front office, perform and maintain various housekeeping services for guest and facility operations, plan and implement a risk management program to provide a safe and secure workplace, and provide food & beverage service and manage the operation seamlessly based on industry standards, perform basic functions of management such as planning, organizing, leading and controlling, apply basic concepts that underline each of the functional areas of business and employ these concepts in various business situations in the hospitality industry, exercise high personal, moral and ethical standards. Restaurant and Food Service: bartender, mixologist, restaurant steward, bar supervisor, waiter/food attendant, room service waiter, barista, F&B manager/supervisor. Lodging and Accommodation Services: room attendant, floor supervisor, bell captain, laundry supervisor, executive housekeeper, room inspector, receptionist, front office agent, reservation clerk, concierge, front office supervisor, rooms division manager, reservations manager, unit manager, convention sales personnel, organizers, public relations staff, sales representative, event planner, convention and event manager, spa manager, leisure manager.